Once upon a time there were four little Rabbits, and their names were--Flopsy, Mopsy, Cotton-tail, and Peter. One of my MOST treasured childhood memories is reading Peter Rabbit. Peter Rabbit was also one of the MOST AMAZING and HILARIOUS movies of the year for me. So this costume was TOO exciting for me to create and plan. The miniature Peter Rabbit tea set in these pictures is FROM my childhood and I’ve been DYING to dress up as Peter Rabbit and drink tea out of my Peter Rabbit tea set. AND. I. DID. IT. I love, love, LOVED getting dressed up as Peter Rabbit (or did I dress up as James Corden?). And I’d been scheming up Brett’s matching costume for a whole year leading up to this moment. 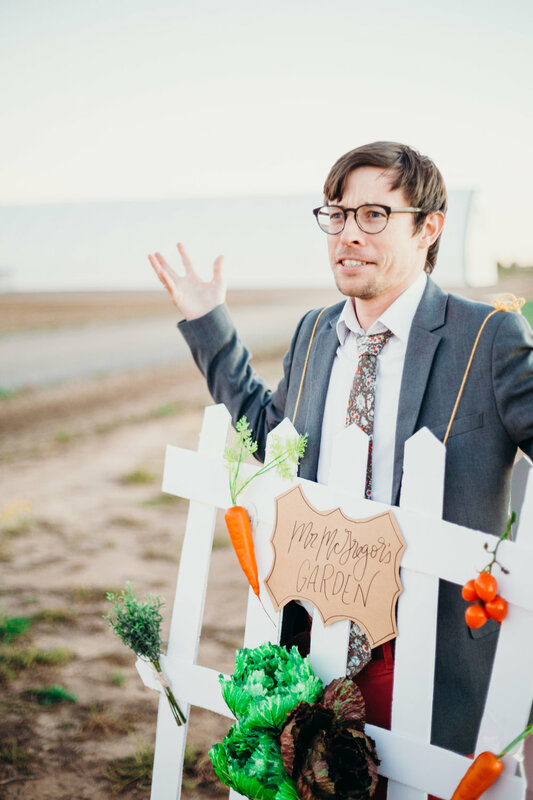 At first I thought I might make him just be a bunch of vegetables, but then the idea came to make him the fence AND the vegetables. Brett also decided to claim he was Mr. McGregor too. So he became a three in one costume. We took our costumes to a Halloween party, and we won best couples costume! Yay! If you love this post, Pin it! 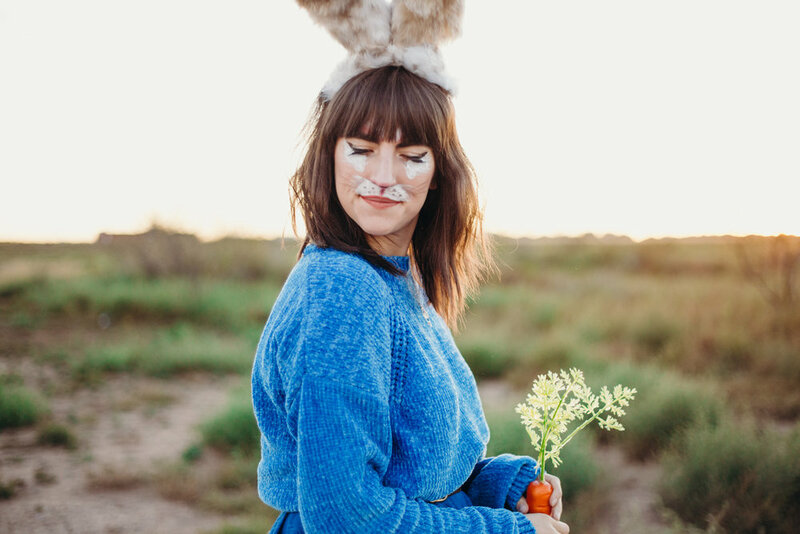 Give someone else the Peter Rabbit/Garden idea for next year’s Halloween! Outfit: My blue sweater is from Charlotte Rousse. Skirt is thrifted! My pretty clogs are Lotta from Stockholm.